This satiny spa experience provides instant relief from dryness, so hands look rejuvenated. Pampers skin with nourishing shea butter. With its unique blend of naturally derived ingredients, Fragrance-Free Satin Hands® Nourishing Shea Cream is a satiny spa experience that provides instant relief from dryness, so hands look rejuvenated. With regular use, cuticles and nails feel conditioned, and cuticles are softer and look healthier. It absorbs quickly, so hands won’t feel sticky, and it leaves a protective barrier on skin for long-lasting softness. During a consumer study, 9 out of 10 women said their hands felt nourished and instantly felt soft, smooth and moisturised. * Fragrance-Free Nourishing Shea Cream is part of the Fragrance-Free Satin Hands® regimen, a spa-like treatment that revitalises and rejuvenates the look of hands, so they feel renewed and instantly look healthier. The shea tree is rooted in the depths of the West African savannah. Towering 60 feet tall, it lives for hundreds of years. It is here, among this ancient wilderness, that local women congregate to gather shea nuts, which are then ground and roasted to ultimately produce precious, soothing shea butter. Apricot, safflower and sunflower oils are known to be rich in vitamins A, E and omega-3s. 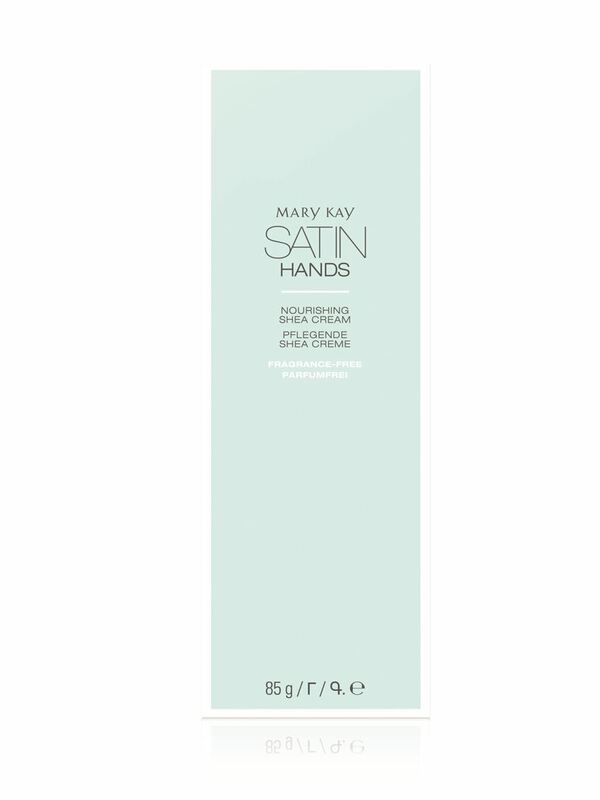 Pamper hands with the creamy comfort of Fragrance-Free Satin Hands® Nourishing Shea Cream. It not only wraps skin in instant hydration, but it also is clinically shown to moisturize skin for 24 hours.† Feel dryness disappear as this shea butter-infused cream instantly melts into skin and leaves hands feeling soft and noticeably smoother. Hands feel soothed and continue to feel moisturised even after washing.